Price drop. Go Green. 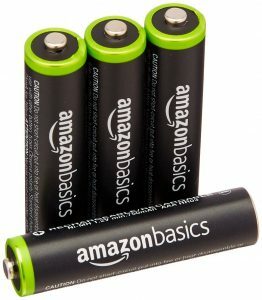 Amazon has a 4-Pack of AmazonBasics AAA NiMH Precharged Rechargeable Battery Sale for only $4.99. Free Shipping $25 or with Prime. Highly Rated 4.4 out of 5 stars.